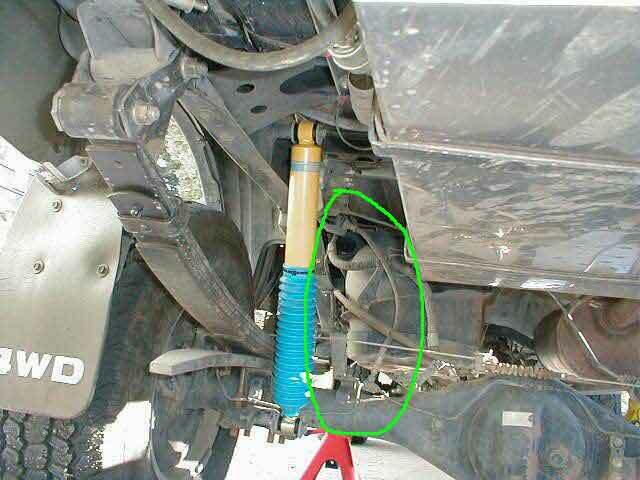 The stock rear brake hose was not able to accomodate the additional articulation of the rear axle provided by the longer shocks and new leaf packs. When the axle was under extreme flex, the hose was stretched too far. 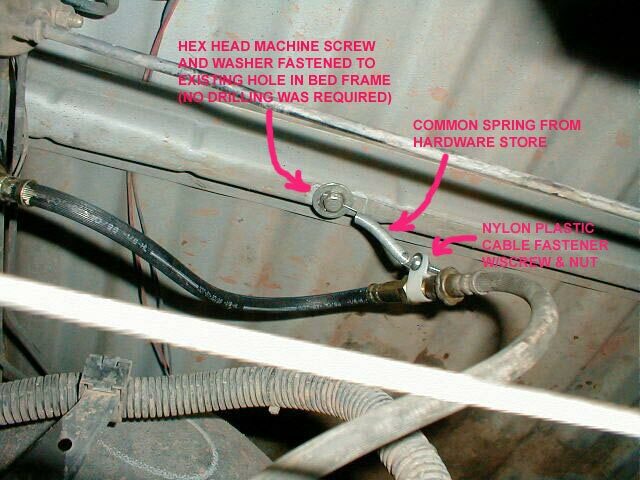 I did this modification back when an extended brake line was a specialty item and cost considerably more than they do now. The extended lines were hard to come by because they required DOT approval and had to be made by a brake supply manufacturer, or purchased from a lift-kit mfg. At the time, the particular option shown in this article was easy and economical. All I had to do was go to one of my local auto parts stores (Carquest in this instance) and request a replacement rear brake line for my Tacoma. The part cost $35.27 including tax and only took 1 or 2 days to get. The new brake hose was then coupled together with the original one on the vehicle. This was easily done because the hose ends are male x female and each end has matching threads. I had a local repair shop do the hose installation, as I did not want to deal with bleeding the brake system. The shop charged me approximately $37 to do the install. I then bought a few items from the hardware store to keep the slack in the line up and out of the way until the axle begins to articulate. One-piece extended brake lines (complete replacement) are now easily available from various suppliers such as All-Pro Off-Road, Wheeler's Off-Road and Rocky Mountain Suspension. Here is a photo before the line was extended. Note the lack of length in the brake line with the rear axle not even at full articulation. 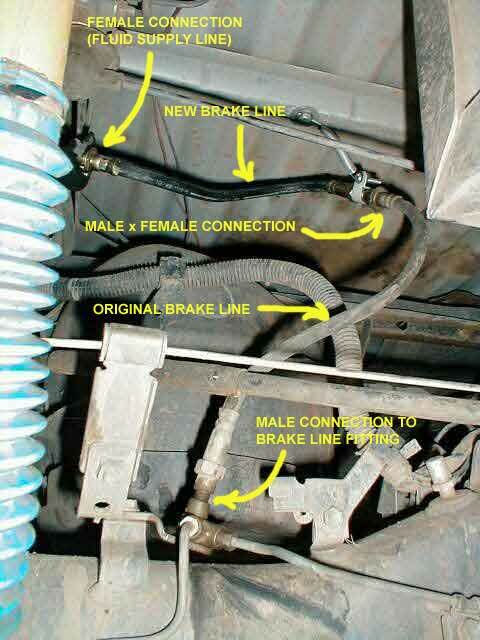 Here is a close-up of the connection (male x female) for the two OEM brake lines that are coupled together. This is where the tether spring and clamp were added to keep the slack up out of the way.